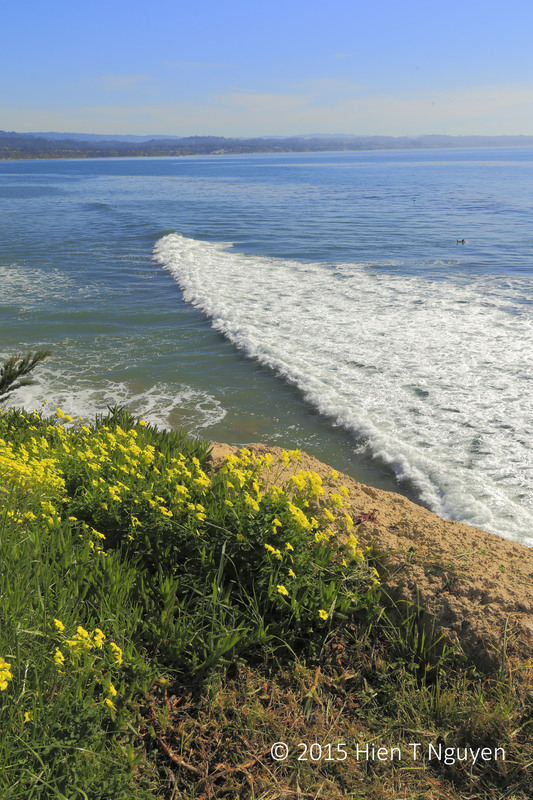 Along the coastline of Central California, from Santa Cruz to Monterey, I could not help but notice the abundance of yellow flowers everywhere. 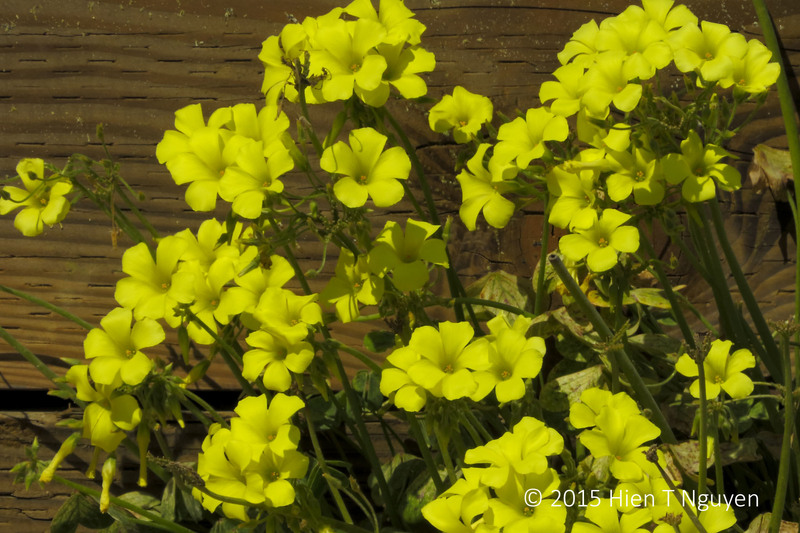 The flowers are oxalis pes-caprea, a native of South Africa, It has invaded the region and many other parts of the world as well. It may be an invasive pest which is very difficult to get rid of, but it provides a welcome color at the end of winter, heralding the arrival of spring. I found them first on a high shoreline in Santa Cruz, with the flowers looking down at surfers below. 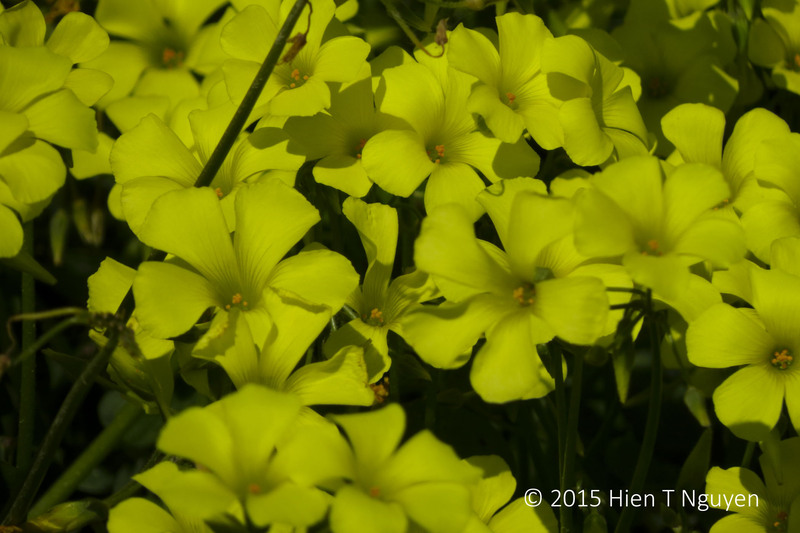 Oxalis on Santa Cruz beach. Look closely and you can see a surfer on the water. They were also in the yards of houses, on street corners, everywhere. 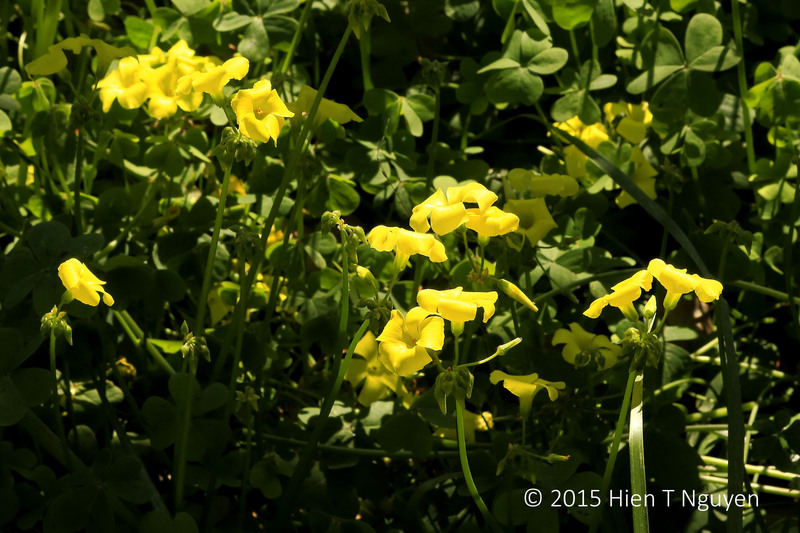 Oxalis in Santa Cruz house yard. Here they are against a fence at Moss Landing State Wildlife Area. Bright and beautiful, especially against the backdrop of baby blue. Stunning scene! The flowers are so vibrant!! Wonderful to see the color and the arrival of spring!